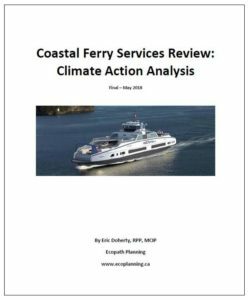 This report forms part of the Coastal Ferry Services Review, and focuses on how BC Ferries can serve the public interest by contributing to meeting B.C.’s greenhouse gas (GHG) reduction goals. This report includes a set of key recommendations including providing BC Ferries with a clear mandate to consider the public interest in reducing GHG emissions, and creating a coordinating agency to lead GHG reduction efforts in the transportation sector. Potential actions identified include operating ferries on ‘plug in’ electric power. 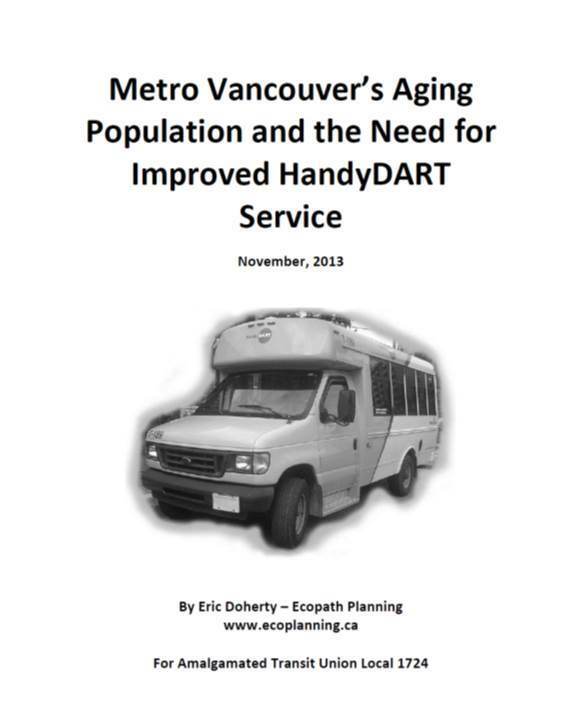 Metro Vancouver’s Aging Population and the need for Quality HandyDART Service shows how present service levels are grossly inadequate, and how the need is growing faster than ever now that the boomers are entering their 70s. It documents the poor track record that for-profit corporations have for service quality, and suggests operating HandyDART as a subsidiary of TransLink. 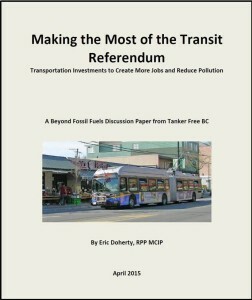 This report is set in the context of the 2015 Metro Vancouver Transit Referendum, but the concepts are applicable everywhere. It documents that improving public transit creates large numbers of good jobs. This is in stark contrast to the much lower numbers of jobs produced by spending in the petroleum sector. The automotive sector and highway and road construction also result in relatively few jobs per dollar spent. Therefore, taking steps to reduce fossil fuel consumption and carbon pollution are ways of enhancing the creation of good local jobs people can feel proud of. Over the last five years the number of people over 70 in Metro Vancouver has increased by two and a half times that of the general population. 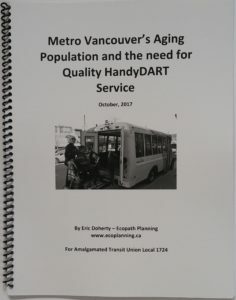 Metro Vancouver’s Aging Population and the Need for Improved HandyDART Service documents how the ongoing increase in older seniors will translate into a greater number of people with disabilities and a resulting need for quality HandyDART service. 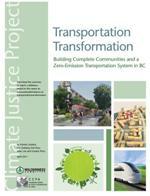 Transportation Transformation: Building Complete Communities and a Zero-Emission Transportation System in BC puts forward a compelling vision for transforming passenger and freight transportation in BC to dramatically reduce greenhouse gas emissions. It proposes measures to enhance equality and quality of life while winning over the wide range of households who are dependent on cars for their mobility because they have ‘just played by the rules’. 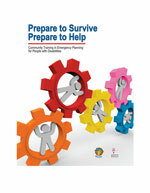 Prepare to Survive Prepare to Help is a train-the-trainer manual based on the latest research on successful disaster planning by and for people with disabilities. Designed to meet the objectives of the Social Organization Framework for Emergency Planning Project, this manual features inclusive approaches for engaging civil society organizations in emergency planning. Client: BC Coalition of People with Disabilities and Volunteer Canada (Prepared in association with the Hatching Change Facilitation Collective). Wilderness Committee educational reports are short, compelling and easy to read. And they also have to be carefully researched and fact checked. These examples touch on climate, energy, and transportation while maintaining compatibility with the wilderness and wildlife focus of the organization. 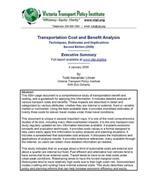 Transportation Cost and Benefit Analysis: Techniques, Estimates and Implications. Second Edition (2009). 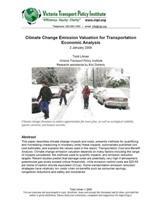 This 500+ page on-line guidebook provides a comprehensive overview of transportation cost benefit analysis. It is one of the most comprehensive sources on the subject, including many often-overlooked impacts. The spreadsheet allows users to adapt this analysis to a wide variety of policy and planning situations. Greenhouse gas (GHG) emissions are one of the most challenging and controversial costs to quantify. This research paper documents the extremely wide range of cost estimates, and why they vary so much. It also provides guidance for using lifecycle GHG emissions, as opposed to only tailpipe emissions, in evaluation policy and infrastructure alternatives. The innovative Lighter Footprint Strategy is designed to help the Student Society at the University of British Columbia (AMS) focus on the areas that will have the greatest impact. Unlike many other sustainability strategies that set dozens of targets, this strategy sets out a relatively simple process to select a manageable number of targets and actions. The strategy is designed to reduce ecological footprint, a concept developed at the UBC School of Community and Regional Planning and now used in sustainability planning around the world. This influential report analyzes traffic patterns along a proposed freeway expansion route, and shows that a large proportion of the trips could be served efficiently by public transit. 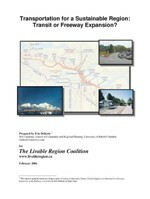 The report suggests a series of cost-effective transit investments which would meet the stated objectives of the government agencies involved better than the freeway expansion. Green Electricity Resources of British Columbia is a wall map with information on Small Hydro, Biomass, Wind, Solar, Geothermal, Ocean Wave and Tidal Current energy resources. It is designed to provide the general public and BC Hydro staff with basic information on the potential for generating low-carbon electricity across the province. The map includes graphs of the seasonal and daily variation of electricity consumption, and how well potential resources match that demand curve – which is essential information for energy system planning.